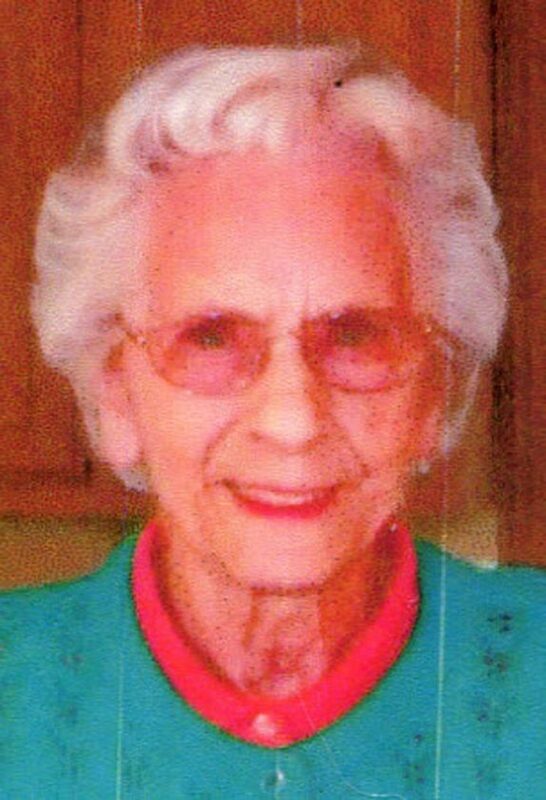 Virginia Grover Woodin, 95, formerly of Ashville, passed away Thursday, Feb. 7, 2019, in Heritage Village Rehab and Skilled Nursing Facility. A lifelong area resident, she was born Dec. 14, 1923, in Corry, Pa., the daughter of the late Albert and Nora Parker Grover. For many years, she worked at the former AVM Co.
Virginia was a wonderful cook, she loved doing crossword puzzles and crafts and enjoyed a good card game. Surviving are three children: Ken (Pat) Sturges and Nancy (Jim) Simmons, both of Ashville, and Les (Cindy) Woodin of Kennedy; eight grandchildren: James (Rhonda) Simmons of Jamestown, Tim (Kim) Simmons and Rhonda (Charles) Dodson, both of Dallas, Texas, Lisa Saxton of Panama, Amy (Randy) Josephson, Karen (Eric) Putnam, Kenneth (Natalie) Sturges, all of Ashville, Andrew (Terena) Woodin of Kennedy; 14 great- grandchildren; and three great-great-grandsons. Besides her parents, she was preceded in death by her husband of 66 years William A. Woodin, whom she married May 17, 1947, and who died June 8, 2013; two sisters: Arlene Capizzi, and Geraldine Donelson; and a granddaughter-in- law, Dawn Simmons. A memorial service will be announced at a later date by the Lind Funeral Home.